It’s been a busy time in our household. Tilly is now 5 years old and her birthday present was a new bedroom. This involved (and continues to) moving a lot of stuff out of the spare bedroom (now Tilly’s room) and finding a new home for it. I’m looking forward to when we’re finally finished! In the midst of all of this I have started a knitting course. 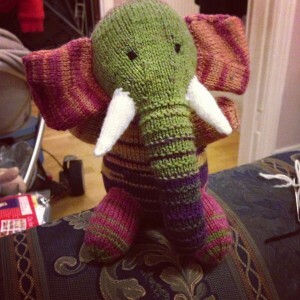 It is run by a friend of mine and is billed as a starting to knit course. I’ve been able to knit since childhood (one of the few things that my paternal grandmother gifted me was teaching me how to knit) but I’ve never really knitted well or anything particularly complicated. 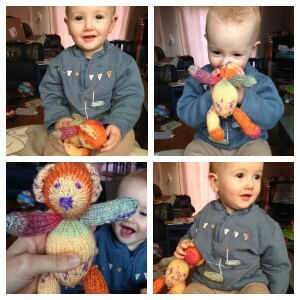 Initially I was hoping to learn enough to knit a jumper for Eli because I’ve had the yarn for over 7 years! 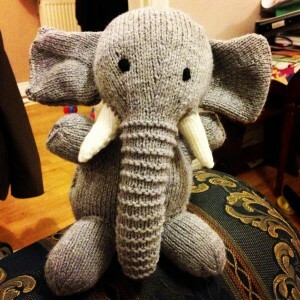 and I really need to knit it now or I’ll be sad that I didn’t manage it for any of my kids. 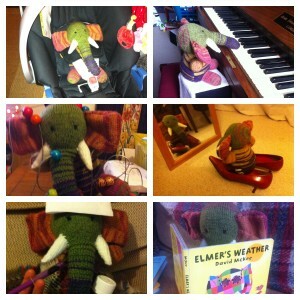 Of course once Tilly got wind of my attempt to knit something for Eli she was desperate for me to knit something for her. 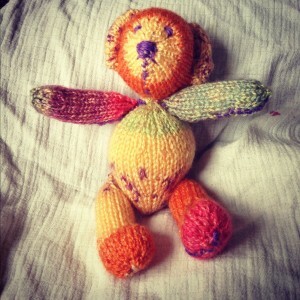 I know the jumper is going to take me ages so I thought I’d try to knit something quickly for Tilly first.